Tungsten armor-piercing discarding sabot (APDS) was initially the main design of the kinetic energy (KE) penetrator. The logical progression was to make the shot longer and thinner to concentrate the kinetic energy in a smaller area.To maximize the amount of kinetic energy released on the target, the penetrator must be made of a dense material, such as tungsten alloy . The hardness of the penetrator is of less importance, but is still a factor as abrasion is a major component of the penetrator defeat mechanism. 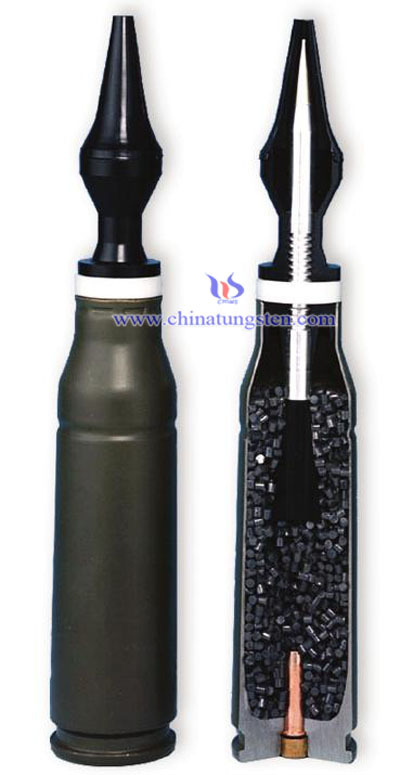 Tungsten armor piercing fin stabilized discarding sabot is significant standoff armor defeat capability, high reliability and high first round hit probability. These features greatly enhance light armored vehicles and armored fighting vehicles utilizing 25mm x 137 gun systems. 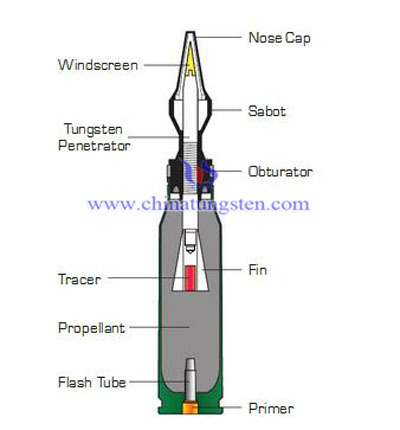 if you have any interest inTungsten APFSDS, please feel free to contact us by email: sales@chinatungsten.com or by phone: 86 592 5129696.